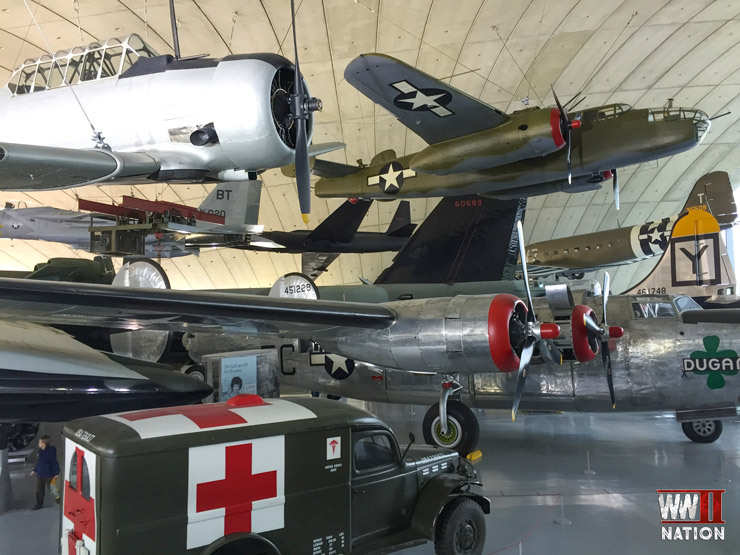 Having visited the excellent Imperial War Museum at Duxford last Christmas and ran out of time, Ross and I were very keen to venture back and see what we had missed, in particular the newly revamped exhibition of the American Air Museum which was closed for renovations when we last visited. 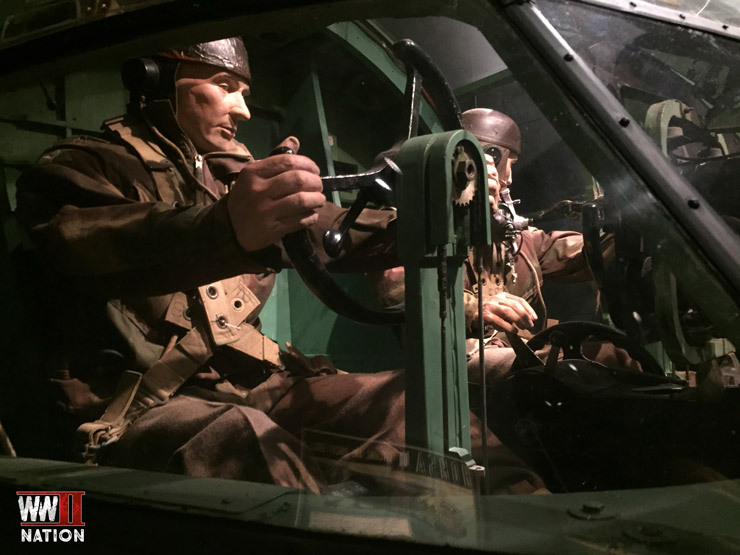 After a rather later than intended start, with Ross having missed his alarm and also his intended train, we eventually arrived at Duxford and with the weather looking rather dreary we headed straight for the Airborne Assault exhibition which was inside the Air Space section of the Museum. 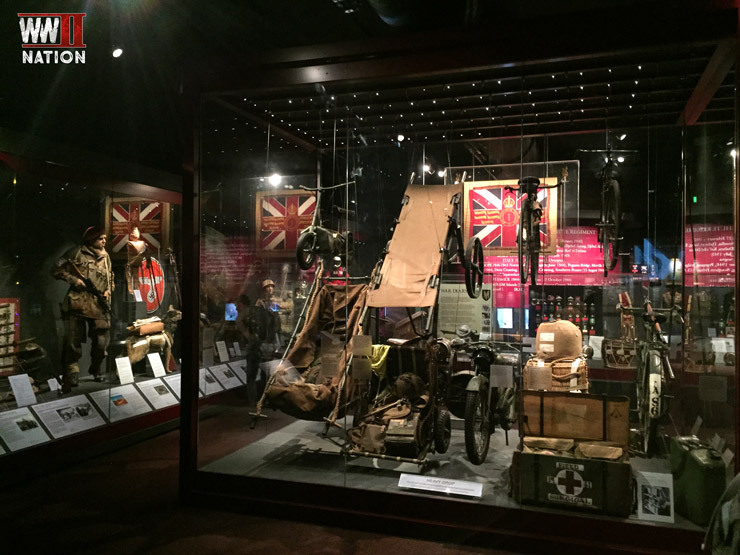 The Airborne Assault exhibition tells the remarkable story of the British Airborne forces from their inception during the Second World War right through to modern day, examining many of their daring operations. Having come highly recommended from a few friends we certainly were not left disappointed by this incredible display. 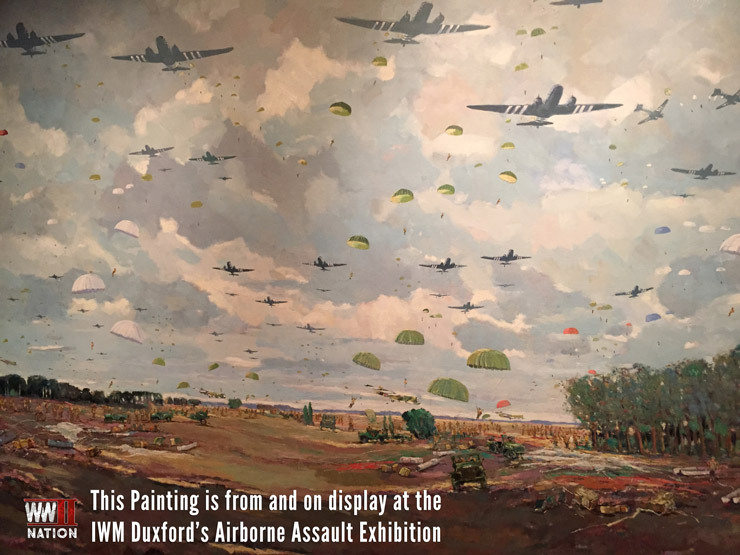 Given that this month marked the 72nd anniversary of Operation Market Garden, it was a particularly poignant time to be exploring the Airborne Assault exhibition and reading up about the battle fought in Holland in September 1944. On our way to the 1940s Operations Room, we ran into a familiar friend and someone we had seen flying at the Chalke Valley History Festival earlier this year. 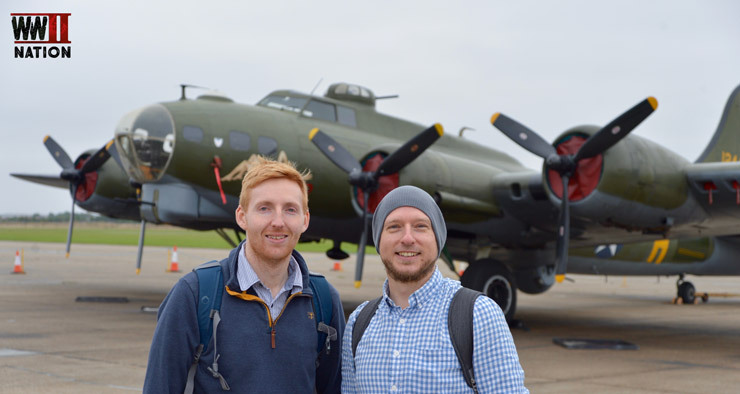 The team at the IWM Duxford had kindly wheeled B-17 Flying Fortress Sally B out ready to greet us. 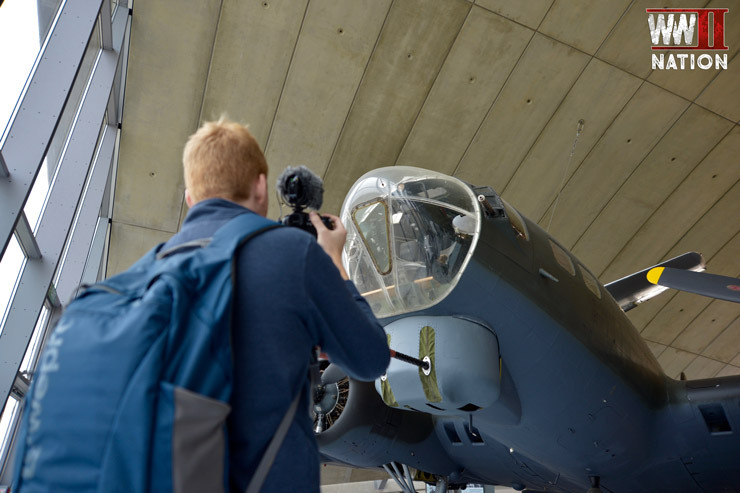 We were also incredibly lucky to catch this remarkable aircraft, the U.S. 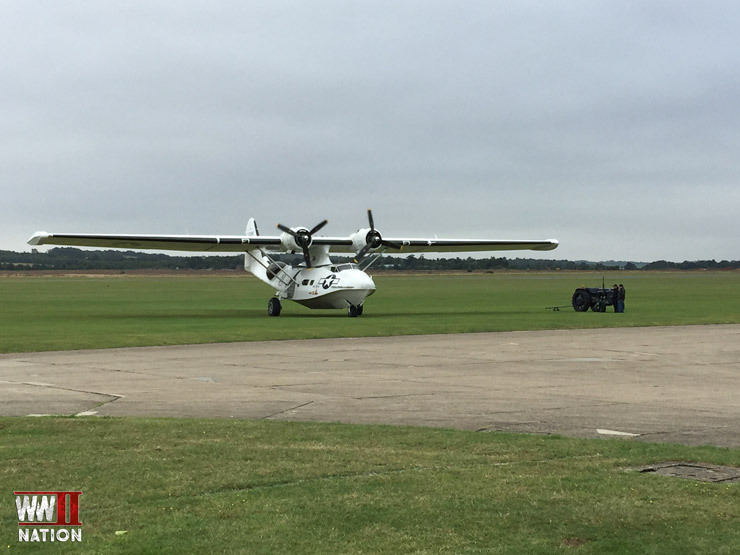 Consolidate PBY Catalina as it warmed up its engines and sped off down the runway. Originally ordered by the US Navy back in 1933 and first flown in 1935, this maritime reconnaissance aircraft saw widespread service throughout the Second World War with the US Navy, USAAF, RAF Coastal Command and many other nations including Australia, Canada, the Dutch East Indies and the USSR. By the end of the war around 2398 had been produced by Consolidated and 892 by other manufacturers. One of the places I really wished to visit was the 1940s Operations Room having missed it last time. 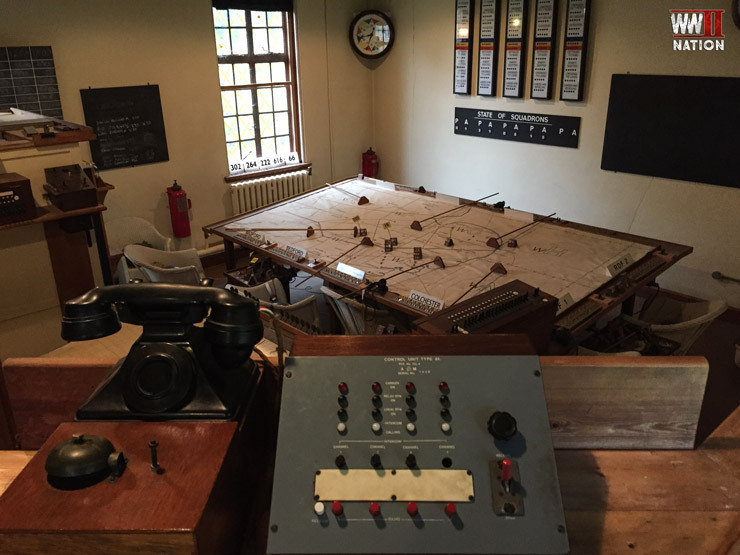 The Operations Room played a key role in Britain’s defence during the height of the Battle of Britain. You can only imagine the atmosphere and tension in their during this period. Although the furniture is reproduced to replicate how the room would have looked during the Second World War, the room itself is the original Sector G Operations Room for 12 Group. 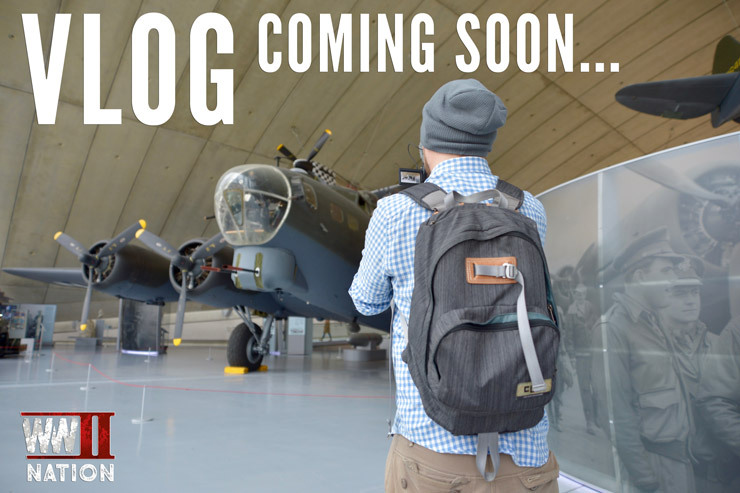 As usual our timing is second to none, we managed to pick the busiest possible moment to try and film inside the Operations Room, however after eventually having managed to get the footage we wanted we eagerly headed to the American Air Museum Exhibition. Last time we visited the exhibition was shut undergoing a revamp and reorganisation before eventually reopening in Spring 2016. From here we headed to the U.S. Cemetery at Cambridge. 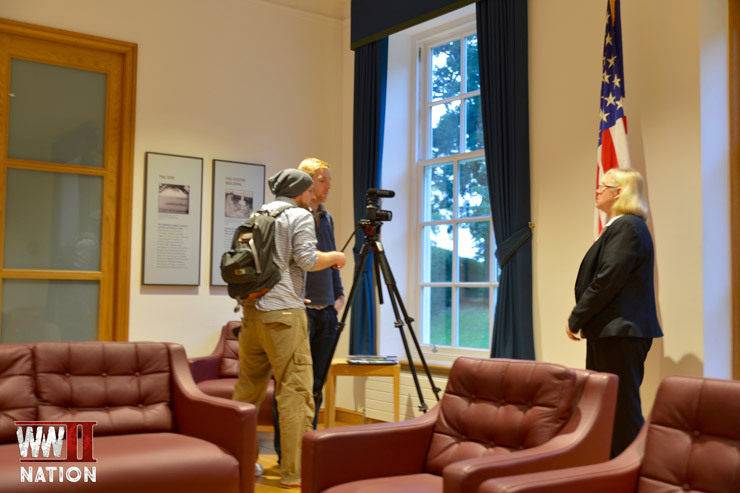 As always running late, Tracey had kindly agreed to stay late and keep the cemetery open so we could visit, film and discuss with us a fascinating project that the team here at the Cambridge American Cemetery are working on. 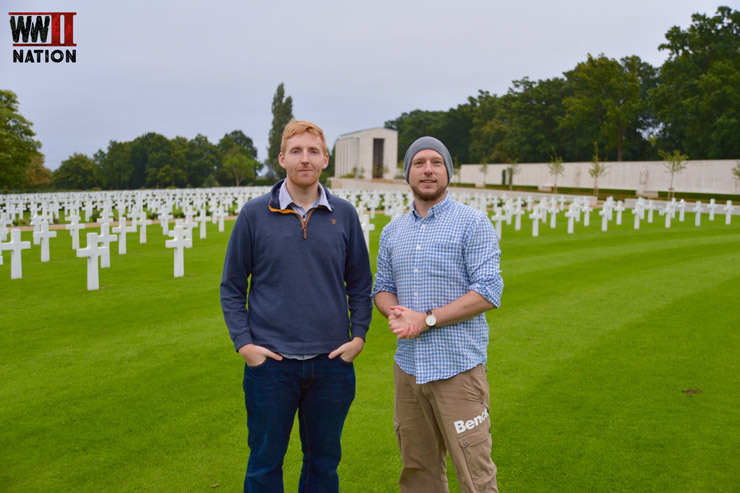 Set in over 30 acres of serene and peaceful English countryside, Madingley cemetery is located just outside of Cambridge and is the only American Military Cemetery in the United Kingdom. The Cemetery is immaculately maintained and looked after by the American Battle Monuments Commission and honours the service and sacriﬁce of all those Americans who served here in Britain and elsewhere overseas during WW2. 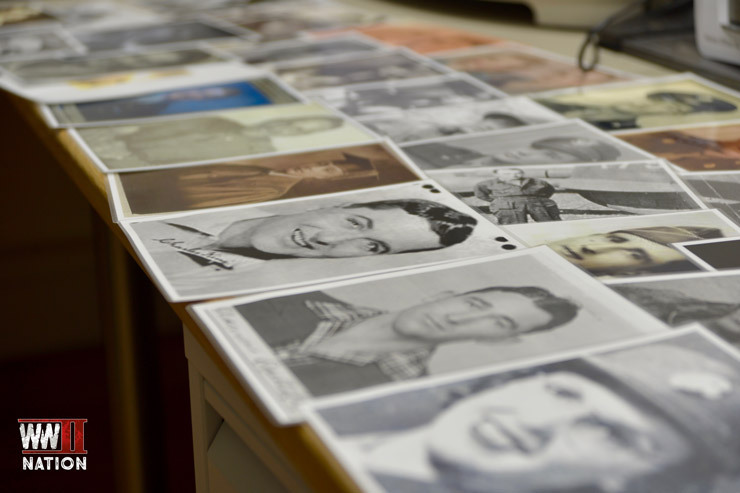 Thousands of Americans came to call Britain home in what became known as the friendly invasion, more than 17 million tons of cargo and nearly 2 million American servicemen and women passed through Britain’s ports. Operation Bolero alone saw the gradual build up of 1.5 million American troops and equipment in southern England in preparation for the anticipated cross-channel invasion. And at its height the USAAF employed around 450,000 Americans in Britain in 1944. The land for Madingley cemetery was gifted to America by the University of Cambridge in 1943 when the site was ﬁrst established on 7th December as a temporary military burial ground before eventually becoming permanent and being ofﬁcially dedicated in July 1956. The number of American service men and women physically buried here at Cambridge stands at 3812, the large majority of which died in the Battle of the Atlantic, the Normandy Campaign or in the Strategic Air Campaign against Germany. However the cemetery also includes American civilians such as Red Cross workers and War Correspondents, as well as 88 US military personal who sadly died in the disastrous Exercise Tiger off Slapton Sands in Devon in April 1944. As well as those physically interned here, the Wall of the Missing, stretching over 472 feet in length and the longest in Europe, pays tribute to and remembers the names of 5127 American servicemen and women who were Missing in Action, Lost or Buried at Sea. Those names include the crew of the USS Reuben James, the ﬁrst American warship lost in the Battle of the Atlantic, Joseph Patrick Kennedy the brother of former President JFK who died whilst serving in Britain, famed musician and composer Glenn Miller, Medal of Honour winner Lt Colonel Leon Vance and many others who also made the ultimate sacriﬁce. Until then, why not enjoy watching our previous Vlog?